Freeze dried cranberries are both healthy and delicious. They are really easy to make and will store in your freezer for months. You can bake with them, put them in yogurt to make a fruit parfait or eat them straight out of the bag. 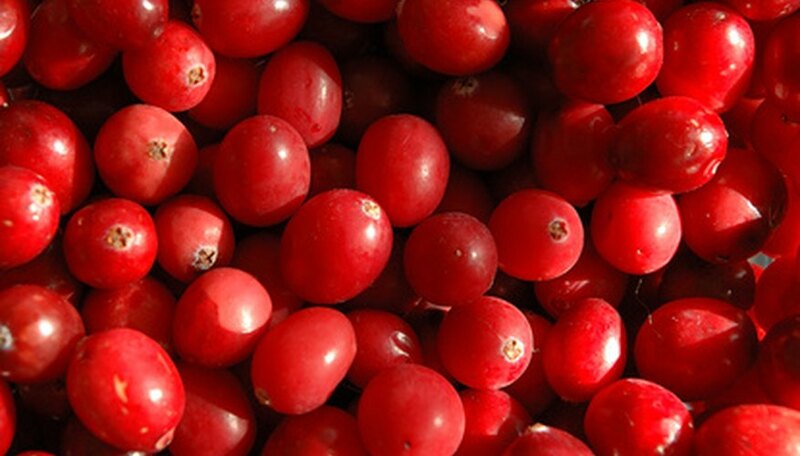 Cranberries can sometimes be a little tart, so you can add some sugar or corn syrup to make them sweeter. Fill a medium sized pot half full of water, and bring it to a boil. Once the water has reached boiling, turn the heat off. Pour your cranberries into the hot water. Let them sit in the water until the outer skins start splitting. Drain the water from the pot, and spread the cranberries on a cookie sheet covered with parchment paper. Use a spoon to gently separate the berries. You may then coat them in a 1/4 cup of corn syrup or sugar if you desire. Place the berries in the freezer for two hours. Thirty minutes before you are ready to remove the berries from the freezer, preheat the oven to 350 degrees Fahrenheit, and leave it on for 10 minutes. Remove the cranberries from the freezer, and put them in the oven. Turn the oven off, and let the berries sit in there for six to eight hours. Remove the cookie sheet from the oven. Store the dried cranberries in freezer bags in the freezer, and thaw them as needed.